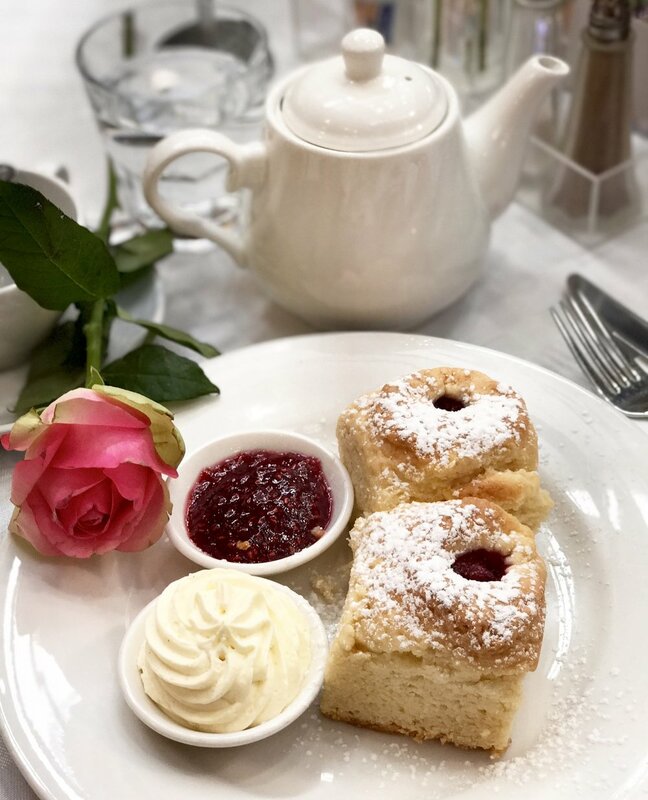 There is no tradition more English than tea and scones. Celebrate this Queen's birthday holiday with my easy recipe for delicious scones. Turn on the oven and spend 10 minutes making these super easy scones, a recipe I have used for many years and one that I find works every time. My recipe is taken from Day to Day Cookery. 4. Pour milk into the well all at once. Using a knife mix quickly until a moist dough is formed. 5. Turn dough out onto a floured surface. Knead lightly and press out to roughly 2.5cm thickness. 6. Cut out with a scone cutter and place close together on a baking tray covered with baking paper. 7. Brush tops of scones lighlty with milk. 8. Bake in a hot oven for 12-15 minutes. 9. Wrap in a tea towel till cold or eat warm with jam and butter or whipped cream - yum. Enjoy. This photo I took was of scones I enjoyed at Room with Roses, however you can make your own scones, it's easy. Let me know below how you go.